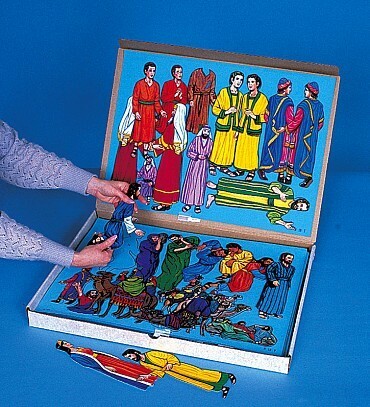 Organize and protect your felt figures with our unique File System. This system includes one 2" deep box. 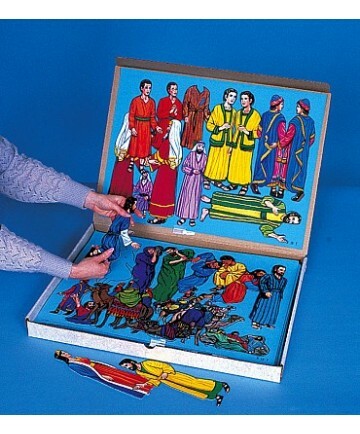 The box size is 18" x 24" and contains velour sheets on which are printed the outline and number of each figure. Each sheet comes with a Category Tab listing the numbers found on that sheet. This makes it easy to find and then replace the characters, accessories, and objects you need. This Small File System will hold the complete Small Basic Set, not including added backgrounds and overlays.